These pewter pendants are a fun and funky take on the dog tag. 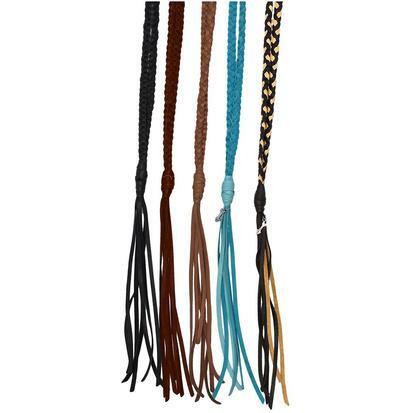 Available in different sayings on a premium leather necklace, some pendants are also accented with turquoise resin. 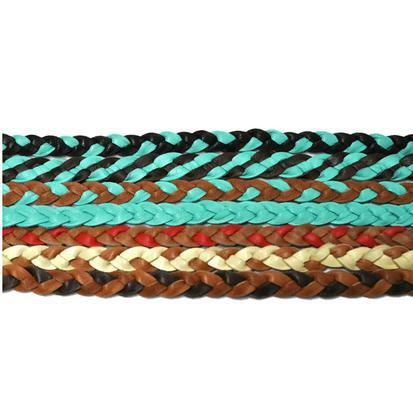 This hand braided leather necklace by Lucky Lou Designs is 40” long, with the fringe adding approximately 7”. 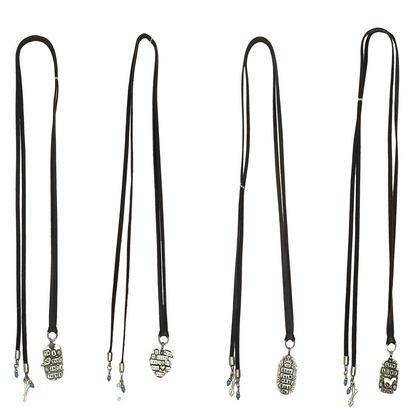 Great for layering, they give that added bohemian feel to any outfit. 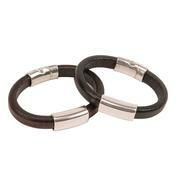 Men’s rolled leather bracelet with silver magnetic closure.